Hostages by Phil Clarke — Camper Reads: Reading With Intent. I found this book on vacation at a little secondhand store, and ended up almost finishing it within two days. 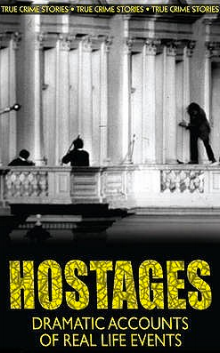 Highly suspenseful and insightful, Hostages is a series of true stories of hostage situations throughout history. Each chapter has a different theme - "Political Pawns", "A Question of Insanity", "For Financial Gain" and my favourite..."Alien Intervention". You need to have an open mind with these stories, as many are surrounded by conspiracy, but nonetheless they are all thoroughly intriguing and entertaining. A highly recommended read for a true crime or history buff, I really enjoyed this book!